Aishwarya Rai Bachchan, an epitome of beauty and grace is always a stunner, especially in traditional Indian ethnic ensembles. 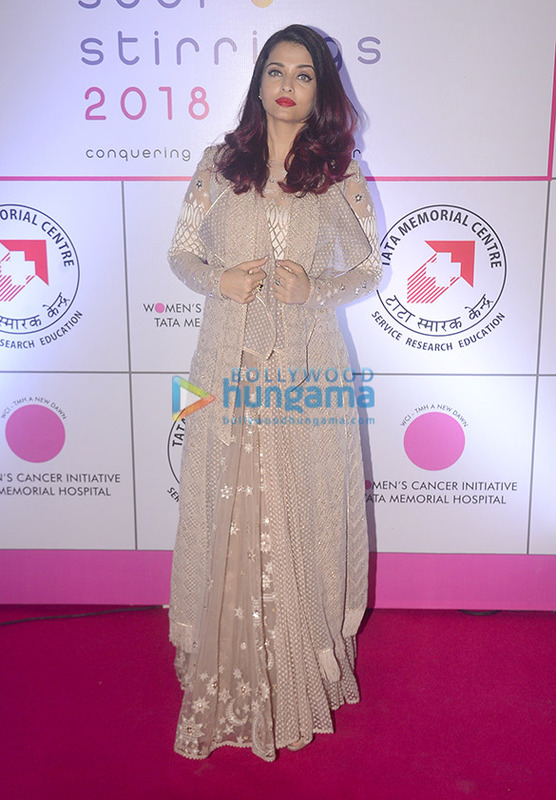 She graced an event in the city, speaking for Breast Cancer awareness. 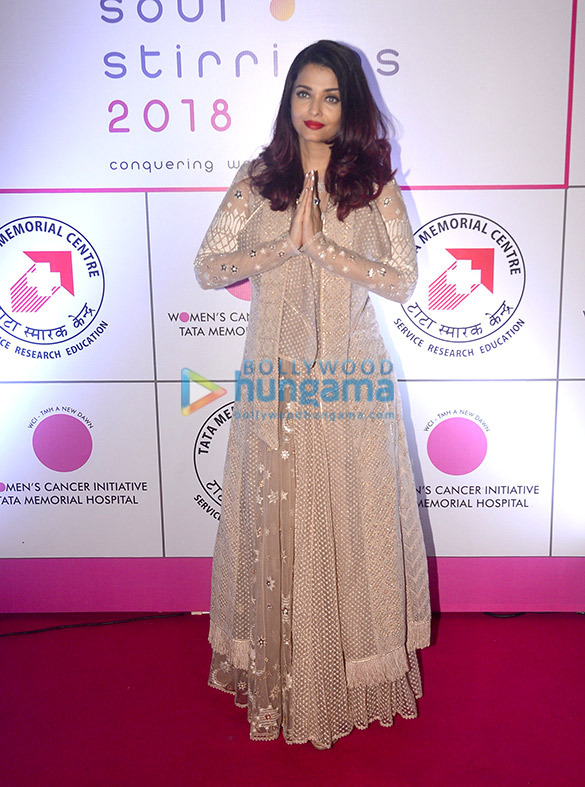 Styled by Pranita Shetty, Aishwarya wore a Tarun Tahiliani creation. The ensemble featured a peach Anarkali paired with a textured jacket. Her burgundy tinted hair that was styled in waves added a quirky contrast to the look. Signature bright red lips, defined eyes rounded out her look. On the professional front, Aishwarya Rai Bachchan was last seen in Fanney Khan with Anil Kapoor and Rajkummar Rao.